Front and back porch were added to the home. All framing material for decks were pressure treated. Decking and box were AZEK decking. Apron was vinyl lattice. 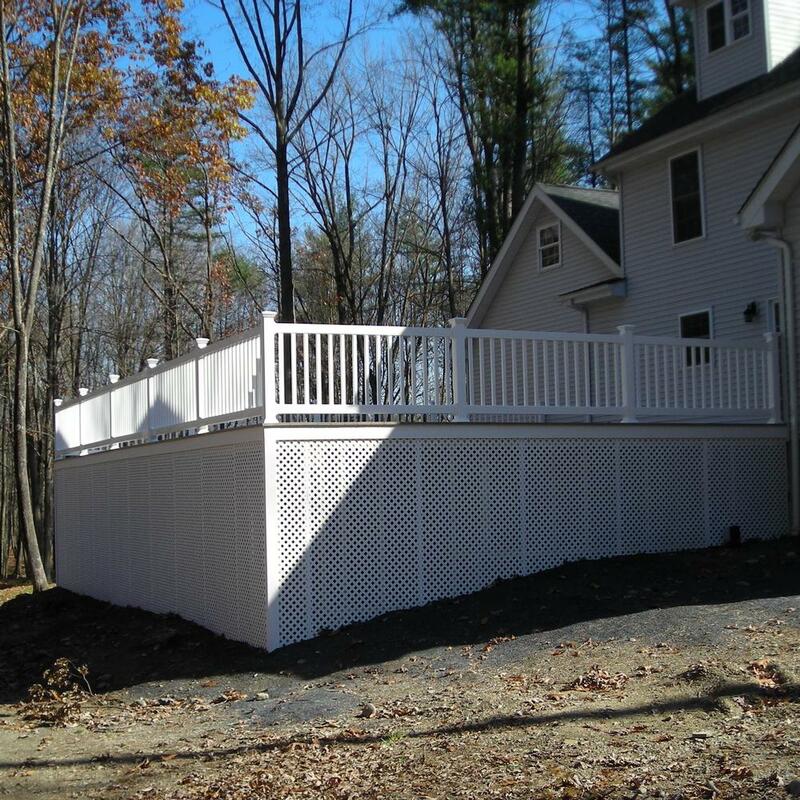 Fairway vinyl railing were used on both decks.